Schools chief Sherri Ybarra has parted ways with her communications director two weeks after winning re-election. Former communications director Allison Westfall’s last day on the job was Tuesday, State Department of Education spokeswoman Kris Rodine confirmed late Wednesday morning. Westfall had served as Ybarra’s communications director since Feb. 13, 2017. In a brief telephone interview Wednesday, Rodine did not offer any explanation for Westfall’s abrupt departure, saying the SDE has a policy of not commenting on personnel matters. Human Resources Director Suzy Nesbella informed the SDE staff of the staffing change Tuesday afternoon, according to a memo obtained by Idaho Education News. Westfall also serves as chairwoman of the Nampa School Board. 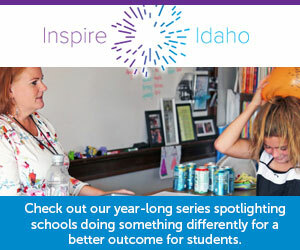 Prior to joining Ybarra’s SDE, Westfall served as director of community relations for the Nampa School District. Before that, from January 1998 to July 2006, Westfall was the public information officer for the SDE under former Superintendent of Public Instruction Marilyn Howard. Westfall’s departure represents another leadership shakeup at the SDE. Westfall had appeared near the top of Ybarra’s organizational leadership chart. On Aug. 17, Ybarra’s former chief policy adviser Duncan Robb resigned. In July, Ybarra’s former Chief Deputy Superintendent Pete Koehler retired. Peter McPherson succeeded Koehler. Robb’s position remains unfilled, Rodine said Wednesday. Ybarra had offered Robb’s job to Will Goodman, but he accepted and then backed out before his planned Sept. 17 start date. Westfall’s departure means Ybarra has two key staff vacancies in the weeks leading up to the 2019 legislative session — the communications director and chief policy officer positions. Ybarra has not said how she will handle the open communications director position. Rodine said any calls from education stakeholders will be forwarded to Scott Phillips next week. Moving forward, Rodine said she still expects to serve as the primary contact for the news media. On Nov. 6, Ybarra was re-elected to a four-year term.